I mentioned Dippers in my blog two weeks ago and I was amazed when checking the first nest that I found on the 8th March to discover that two eggs have been laid of a second clutch. In some years there is no second breeding but this year is proving exceptionally good for Dippers due to no flooding and only one inch of rain has been recorded in the last two months. We are now at the end of April and the only tree not in leaf is the Ash tree. This has never happened before in my life time. During the week I made a trip back to the Derbyshire Dales to photograph Early Purple Orchids. There were some magnificent specimens in flower as shown in the above photo but as usual on video they appeared blue not purple. It is something to do with white balance and I have been trying for years to find a correction but all to no avail. 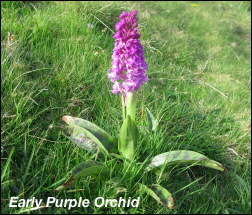 Even the experts at Canon don’t have an answer so I think I will give up photographing Early Purple Orchids! Strangely enough with Canon still cameras they give a perfect exposure. Some good film was obtained on Kingfishers during the week, so at least one of my regular pairs have survived the Winter. They have also started breeding early so hopefully will have a second brood in July. Sadly, news is still emerging about the state of Barn Owls from last December’s weather with some parts of the country suffering a 90% decline. It is going to take many years of successful breeding from the remaining pairs to make up for this loss. I have still to check my few sites to see if any Barn Owls are present this year. With sunshine all day and daily temperatures in excess of 20°C this Spring is set to break all records. It must be an unique contrast to have Dotterel on Pendle Hill and the same day (22nd) Waxwings in Rochdale! Surely that has never happened before? 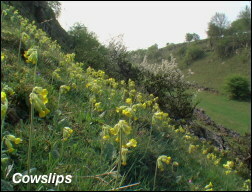 A day out in Derbyshire produced dales full of Cowslips but failure in my search for Water Voles on the Cromford Canal. 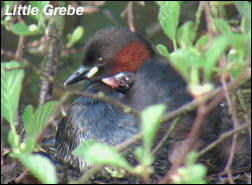 I did however obtain some good film of a Little Grebe with a young on its back. In the high Pennines a Woodcock was encountered but it was only a feeding male with no sign of the sitting female. A pair of Ring Ouzels have laid their first eggs on a record early date (20th) others are only just arriving from their migration. 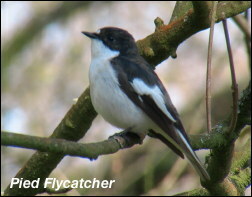 I spent one day in the Ribble Valley filming Pied Flycatchers. The female would fly to the nest box with nesting material as the male sang to her from outside the box. It is a great song and the wood was full of singing males. The sunshine has brought out masses of Orange Tip Butterflies and on the moors Green Hairstreak Butterflies have emerged much earlier than normal. At my usual Adder site a large female was enjoying the warmth and with moulted skins nearby others have also been active in the exceptional conditions. 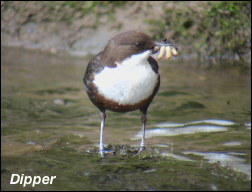 It is now six weeks since I found my first Dipper’s nest of the season and the young have just fledged. During that time less than one inch of rain has fallen leading to probably the most successful breeding season they have ever had. I have spent several days awaiting the young fledging but as usual they have eluded me. Several visits have been made during the last week to the Ribble Valley to continue the search for Woodcock but none have been encountered. On the plus side there were plenty of Redstarts and Pied Flycatchers singing in the woods, with my first Common Sandpiper of Spring feeding on the river. I have now finished my film shows for the Winter season with the Pennine Birds DVD having sold very well. It is now being sold at the Yorkshire Dale Field Center in Malham, one of the most prestigious places in the Pennines and it is still available through my website.. In forty years of filming birds at the nest I have only ever found five Green Woodpecker’s nests and only then when they had large young ready to fledge. It would be too much of a risk to try to film them at any other time. On the 9th April in a high Pennine Oak wood I found a tree with just the starting of a Green Woodpecker’s hole. The big attraction was that the hole faced South for good illumination and fifteen feet away was a dry stone wall with a stone missing at just the right height for the camera. It was too good an opportunity to miss! The next day I sneaked along the blind side of the wall and carefully peered through the hole in the wall towards the tree. The male Green Woodpecker was resting by the hole so I had to wait for twenty minutes for him to fly away to feed. During this time I hid myself and the camera on the other side of the wall and waited. 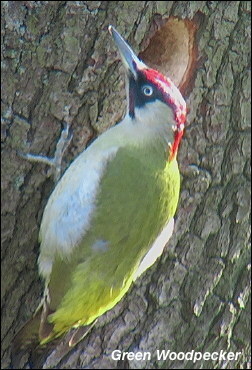 An hour later he returned and started to chip away at the hole giving me some unique film of how a Green Woodpecker drills a hole in a living Oak tree. It was a once in a life time experience. The incredible Spring weather this weekend has produced the earliest fully leaved Hawthorne trees I have seen. On Hopwood on the tenth a Whitethroat was singing plus many Willow Warblers and at least twenty Sand Martins were at the recently dug out sand bank. Twenty two degrees centigrade produced many Peacock, Small Tortoiseshell and at least two Orange Tip butterflies. The thirtieth species to visit the garden this Winter proved to be a new bird in the form of a male Pheasant. Where it has come from is a mystery as none have been seen in the forty three years we have lived in the area. Its life expectancy is probably not that long if the local Fox has anything to do with it! In the last week some time has been spent in the annual search for Lesser Spotted Woodpecker and Woodcock but so far to no avail. As I didn’t find the nest of either last year perhaps the odds are in my favour this year? It was good to sit in a hide at a Kingfisher site during the week. The aim was to film copulation and although this did occur during my visit it was too far away from the camera to film. 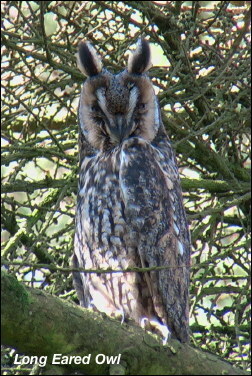 This week’s photo is of a male Long Eared Owl roosting close to its female who was down on eggs in an old Magpie’s nest. This pair always run the gauntlet of disturbance from campers and Easter this year is going to be a particularly bad time for them with it being so late.